Can be used to keep all sorts of surfaces sparkling clean and fresh. From kitchen worktops to glass coffee tables, you'll get a streak-free, hygienic clean that's so good. 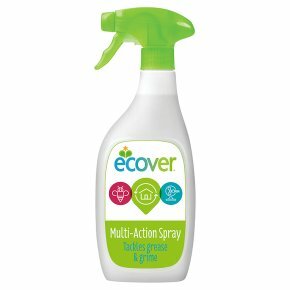 It removes limescale and soap scum effectively. Ingredients inspired by bees. Quick drying formula. Tackles grease & grime. UNEP Award. Cruelty-Free international. Usage: For use on kitchen surfaces, tables, chairs and other hard surfaces. Spray directly onto surface and wipe clean. No need to rinse.